So, Tim Cook, you are going to “promote” Jony Ive, how will you do it — news conference? Announcement on the Apple.com homepage? Nope, we learned about Jony Ive’s promotion from Senior Vice President of Design to Chief Design Officer in a British newspaper article by none other than Stephen Fry, über Apple fan boy and good friend of both Tim Cook and Ive. 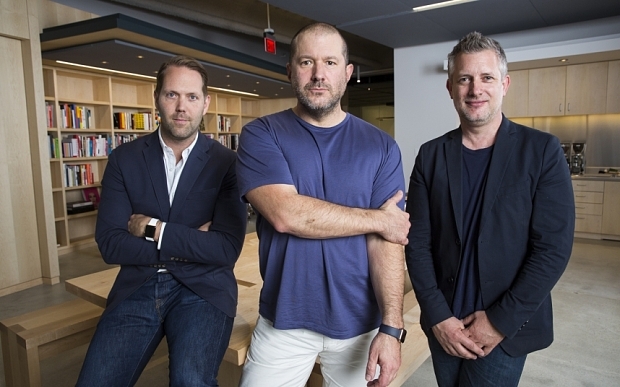 The Telegraph broke the news that Jony Ive has been promoted to the position of Chief Design Officer, which will see hand off day-to-day management work to lieutenants and travel more. And, here is Jony with the underlings will hand the daily minutiae of Apple’s product design team. (left to right) Alan Dye (industrial design), Jony Ive, and Richard Howarth (interface design). Read Tim Cook’s email to Apple staff announcing Jony Ive’s promotion to Chief Design Officer.